Writing a book is hard. So hard, in fact, that even when you find a writing guide with a method another writer has used, there’s no guarantee that that method will be something you can pull valuable information from. Everyone’s minds work differently. That means that we have to figure out the writing practice that works for each of us. And, at the same time, we must fight our Resistance in a way only we can. Luckily, there are plenty of resources out there to keep you writing. For me, the best way to keep working is to analyze books that are at the top of their genre. Books that Shawn calls Masterworks. Yes, they might not include every single convention and obligatory scene, but something about these books works. They not only sell, but they move readers and allow them to see the world in a way they may not have before. 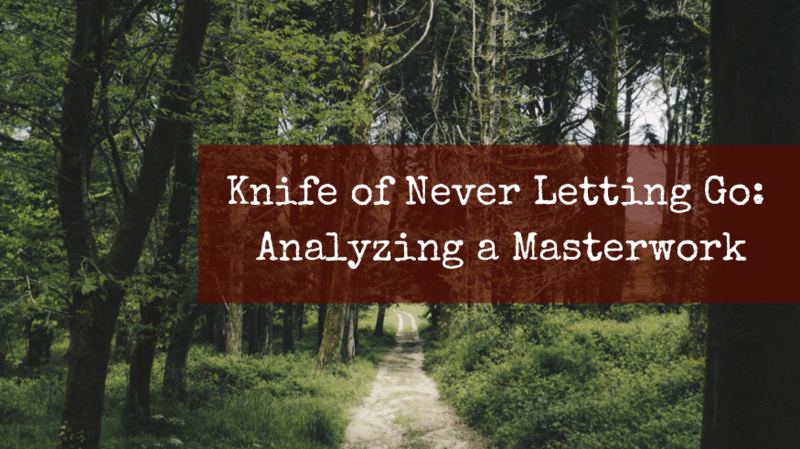 The masterwork I chose to study first was The Knife of Never Letting Go by Patrick Ness. It’s one of the most well put together novels I’ve ever read. It’s a thriller. And, its commentary on the differences between men and women hits pretty close to home. I’m sure you’ll hear more about this (and the other editor’s guides) in the future. 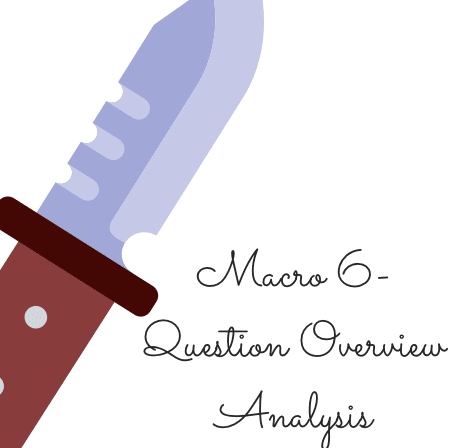 For now, here’s a look at the 6 core-questions breakdown of this thriller/revelation story. Just know that everything I say isn’t the only way to look at the story. I highly encourage you to read it for yourself. Oh, and here’s your warning: Spoilers Ahead. Proceed with caution. 1. What is the Global Genre? Knife of Never Letting Go is a long form, arch-plot, science fiction, drama that externally turns on life and death and internally turns on ignorance and wisdom. The external content genre is thriller, while the internal content genre is revelation. Which is a fancy way to say that as the book progresses, Todd’s main concern is his and other’s safety. He also discovers what it truly means to be a man. Additionally, and though it is considered a category rather than a genre, Knife of Never Letting Go is a young adult (YA) book. That means that the protagonist is typically under the age of 20, experiences a maturation, constant change, and involves a budding romance of some sort. Think Twilight, Harry Potter, or The Hunger Games. Though, if those are your only examples of YA and you’re trying to write in it, you should stop right here and get reading. 2. What are the Conventions and Obligatory Scenes? Whether it’s the mayor who’s behind the curtain pulling the strings, or Aaron who is the “monster,” the villain runs this story. Aaron makes it personal and turns Todd into the victim by stabbing him and taking Viola hostage. That creates the clock element: for Todd to find her before Aaron kills her. The MacGuffin is that the Mayor wants Todd to fall into damnation by killing another human being, which will make his army “perfect.” The initial crime, though off the page, is that the mayor had every man either complicit in or actively a part of murdering someone from the town. The villain is then praised in the “speech in praise of the villain” when Todd’s mom writes about them in her journal. The hero at the mercy of the villain scene is when Aaron finds them under the waterfall. And finally, there’s a false ending when Todd and Viola overpower Aaron only to run into Davy. But what about the revelation genre? We talk a lot about external content genres on The Story Grid, but sometimes leave the discussions of internal genres out of the conversation. Part of that, I believe, is because it’s hard for an internal genre to hold an audience for the length of an entire novel. Short stories, sure, but novels are another beast altogether. Another part is because internal genres are “squishy” and often depend on what you yourself are experiencing in life to bring to the story your own interpretation. However, there are still valuable lessons to learn from internal genres (especially when they are coupled to a successful external genre). A revelation plot falls under a worldview shift and comes about when something is revealed to the protagonist to make them shift from ignorance to wisdom. In this case, it’s the truth about what it means to be a man. Worldview stories have conventions and obligatory scenes just as thrillers, though they are different. All of which this book clearly has. Additionally, Todd initially doesn’t want to leave the only life he’s ever known. He’s forced to respond and lashes out at the change. His initial strategy to outrun Aaron fails. He reaches an All is Lost moment when he realizes that he can no longer go on as he had previously planned. And finally, Todd loses his innocence but is rewarded with a deeper understanding of the world he lives in. 3. What it the POV/Narrative Device? Oftentimes, the idea of infinite choices for our characters can be daunting. Ness surmounted this obstacle by imposing limits into his story. For example, his story is told from Todd’s perspective as it’s happening in real time. Meaning, Todd doesn’t explain to the reader something he already knows to be true. Instead, we come to understand his world simply by the context clues he gives us along the way. Using what Shawn calls “exposition as ammunition.” We learn that the planet is a new Earth and that Todd has been lied to his entire life. That women are alive but silent, unaffected by the Noise but able to hear men’s thoughts. To me, that makes the POV that much more unique and interesting. See what limits you can give yourself next time you get stuck. Todd’s want is easy. He wants to protect himself and those around him. It’s why the mayor wants to turn him into a killer: if he can break Todd of his innocence, the mayor can get anyone to join his army no matter how moral they seem. What Todd needs is to learn that everything is not as it appears to be. That just because he’s been told something is true, that doesn’t make it so. And, to accept help when it’s offered even when facing a bruised ego. In the context that Shawn uses for a controlling idea it’s that people survive when heroes sacrifice themselves to save others. However, I think there’s something worth analyzing the piece in an English classroom style. Therefore, I believe that the book thematically looks at the power of language. I think it discusses the roles of men vs. women and that it’s important not to let our differences get in the way of our similarities. And, I think it talks about what it really means to be a man. If you’ve read the book, did you notice how Todd only calls Davy Prentiss Jr. Davy vs. Mr. Prentiss Jr. once he’s witnessed Aaron’s death? 6. What is the Beginning Hook, Middle Build, and Ending Payoff? Todd and the girl must escape the mayor and the men of Prentisstown, which is the only place Todd has known his entire life. Todd and Viola are on the run together away from the army toward Haven and have to decide to what lengths they will go to keep each other safe. Finally, Todd learns the truth of what it means to be a man according to Prentisstown and must face Aaron in the name of that secret. **For more stories analyzed in this way, visit my personal blog. This was an excellent analysis. Makes me think about why I liked that book so much. Thanks. Thank you! And thanks for reading my post. I loved the book, so diving into the reasons it works is so much fun. I’m glad other people enjoy my analysis. Paul, it was my pleasure to do the analysis. I’m also very glad I could help with your theme. Keep writing! Terrific read here, Rebecca. And I think you’re right that there’s a lot to explore in this book that might be a little more English Major-ish with regard to the function of language in society. Also, since “the noise” is language as it rumbles around in other people’s heads, the book is a kind of rumination on madness and the chaos of knowing or hearing too much. Where, I wonder, is privacy in this book? it’ sin the “hole in the Noise”. Thank, Steve! You know I could go on about this forever, but I think there’s also something to be said about the fact that Noise is related to men and Quiet to women. It’s a subtle way to not only discuss the importance of language, but add the dimension of gender differences to it, and I find that so interesting. I love that you say “chaos of knowing … too much” because the overall trilogy is called Chaos Walking. What defines who we are, our thoughts? Or, is it how we react/respond to them? There’s definitely more to this book than meets the eye and I find it fascinating. Thanks for sharing all the work you did here. I know it will help writers with their stories. I’d like to point out to your readers that this type of analysis is very similar to what we Story Grid Editors in a Diagnostic of writers’ manuscripts. We really break it down to the basics of what works and doesn’t work. You’ve done another great job here. And you’ve convinced me to read the book.